One of the impacts on the buy-to-let mortgage market coming out of the “credit crunch” is the massive contraction in lending. The result is that landlords need to search harder than ever for a buy-to-let mortgage that is right for them. Landlords need to be pro-active. The reality now for landlords is that they need to do proper research if they are going to secure the best deals. This sometimes means going direct to the lender. The Financial Times recently reported that since the ‘credit crunch’ some lenders are only providing their best buy-to-let mortgage deals direct to landlords and not through mortgage brokers. Property Hawk the dedicated landlord website recognised the difficulty that many of it’s growing user base were having in trying to research the best buy-to-let mortgages over the Internet. This is why early this year it set up its unique mortgage advice portal to allow landlords to access all three routes to finding a buy-to-let mortgage. Uniquely Property Hawk allows landlords to go direct to every buy-to-let lender’s website to see at a glance all their direct mortgage products. 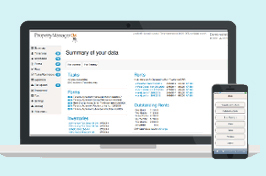 If landlords want to avoid having to access each separate website, they are free to use the unique search facility powered by Moneynet. This allows landlords to define their own search criteria to search the whole market for products that meet their particular needs.This guarantees that landlords are five times as likely to find the mortgage that they suites all their needs. One of the brokers even offers to give back half of any commission they receive. Landlords should ensure that they know and compare the buy-to-let mortgages APR when deciding on which mortgage to go with. The APR is the true interest rate paid by the landlord over the term of the loan and includes fees and other administrative costs as well as the loans on going interest rate after any fixed period has come to an end. Landlords should avoid high product and administrative fees which even where the initial pay rate may be very attractive landlords are unlikely to make the cost of these fees back. Landlords should make sure that they are aware of any penalty fees for early redemption of their mortgage product. If a landlord were to sell or swap to another buy-to-let mortgage product before the period has finished a landlord could be liable to thousand of pounds of early redemption mortgage fees. Where a fixed rate or introductory period has come to an end the buy-to-let mortgage will generally revert to the lenders standard variable rate. This may be unattractive compared to some of the deals available within the market. Landlords should plan well ahead and make sure they have a replacement mortgage offer in place before their rate comes to an end. Landlords should always start the process of remortgaging by talking to their existing lender to see what deals they may be able to offer them. This is because many lenders will have exclusive deals only available to existing borrowers which are aimed at retaining their buy-to-let mortgage business.